With the holidays approaching, calendars can get packed with dinner parties and family gatherings. And as enjoyable as they, it does mean more work. There’s never enough time to shop, cook and clean. And the holiday decorating always takes last place when it comes to time management. When it comes to your next dinner party or if you’re hosting Thanksgiving, you can decorate the table with simple but beautiful rustic elements that fit the fall or holiday theme. 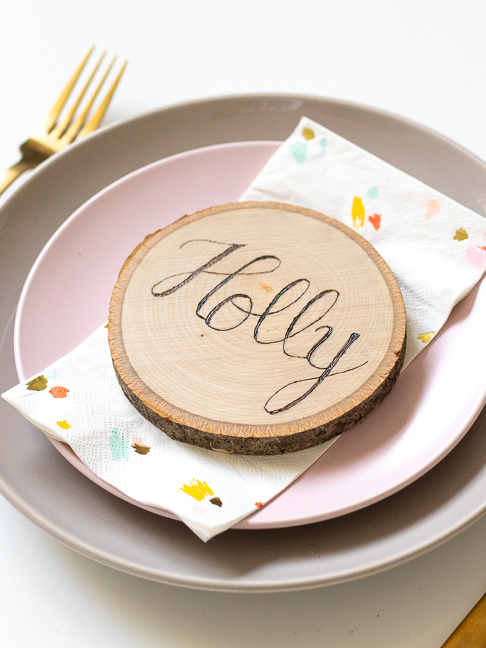 For each place setting, try making these wood burned place cards that do double duty as coasters guests can take home at the end of the evening. 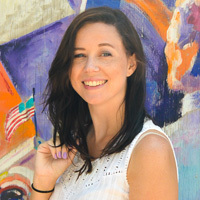 With a little time and minimal hand-cramping, you can make each guest a unique place setting and gift with their name on it that they can enjoy at the party and at home! 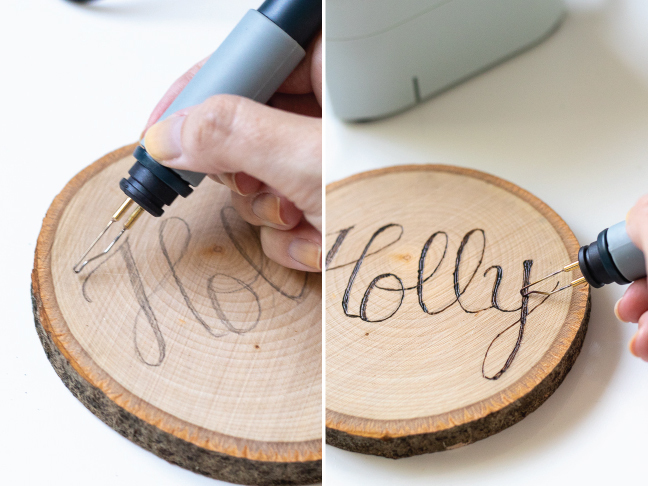 Wood burning is an art, but certain projects are easy enough for even the most inexperienced crafter to make! 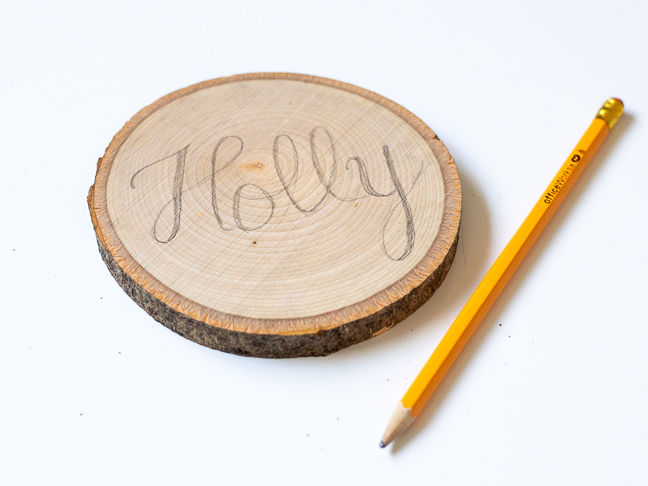 I don’t have a lot of experience with wood burning, and I was able to make these calligraphy-style wood burned place cards that double as coasters by simply drawing and tracing the letters. 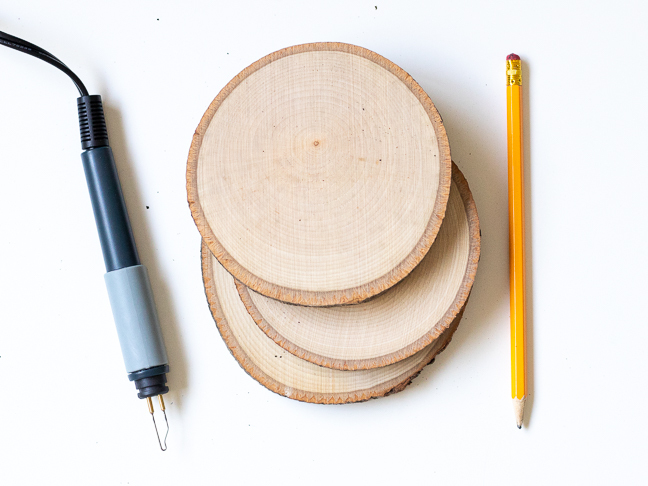 The key is to go slow, and every wood burner has a different tip that may impact how you draw with it. If you’ve never used one, consider trying several letters on some scrap wood before moving on to this project. 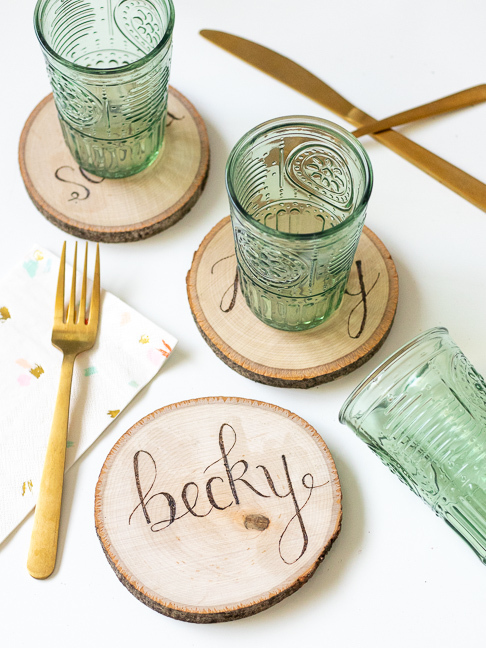 Make one of these wood burned place cards that double as coasters for each of your guests, and you’ll be the hostess with mostest! Step 1: Outline the name on the wood lightly in pencil. Step 2: Heat up the wood burner for several minutes before outlining the design. Then slowly trace the drawn sections with the burner in pieces. Note, for a calligraphy appearance, make any down strokes bolder. Once finished, use a damp cloth to wash away any remaining pencil marks and let dry. 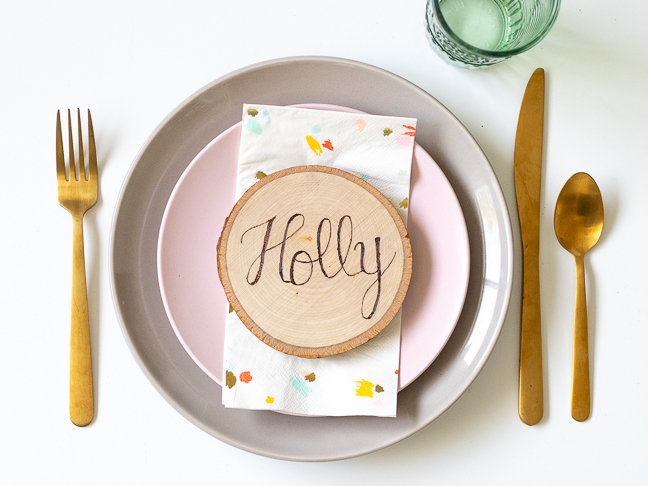 Come dinner time, place a wood burned place card at each table setting so that guests know where to sit and they can use it as a coaster during their meal! At the end of the evening, each person can take their name home for a personalized gift that shows just how much work went into the event!